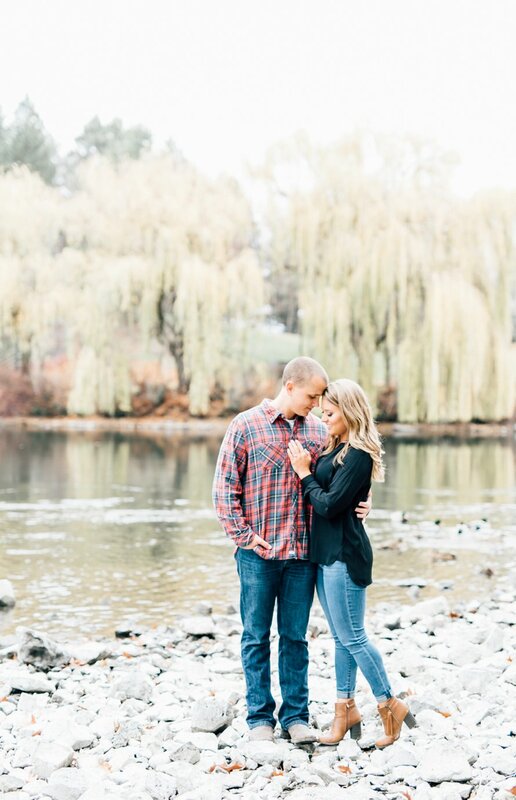 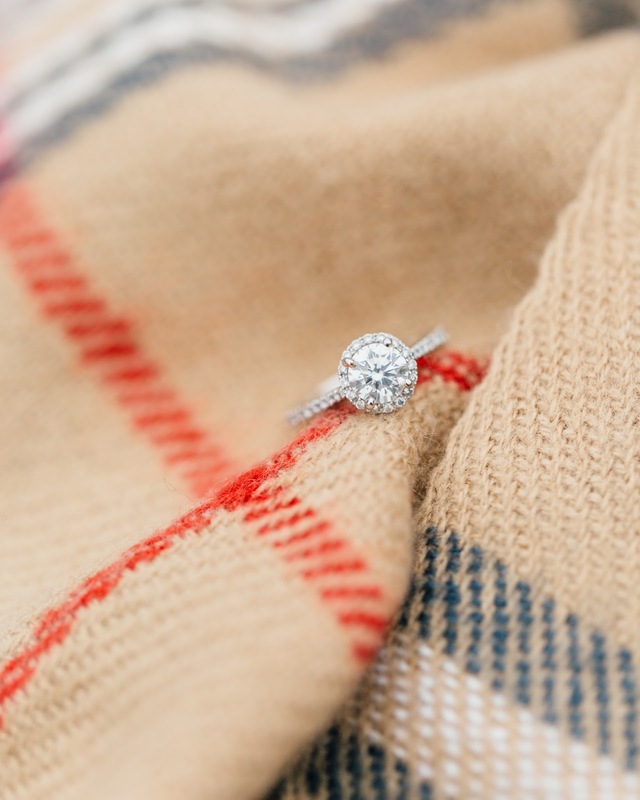 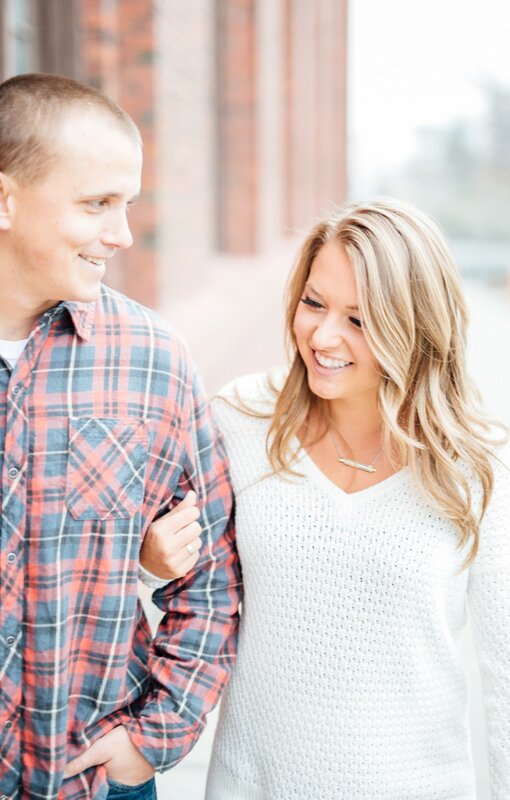 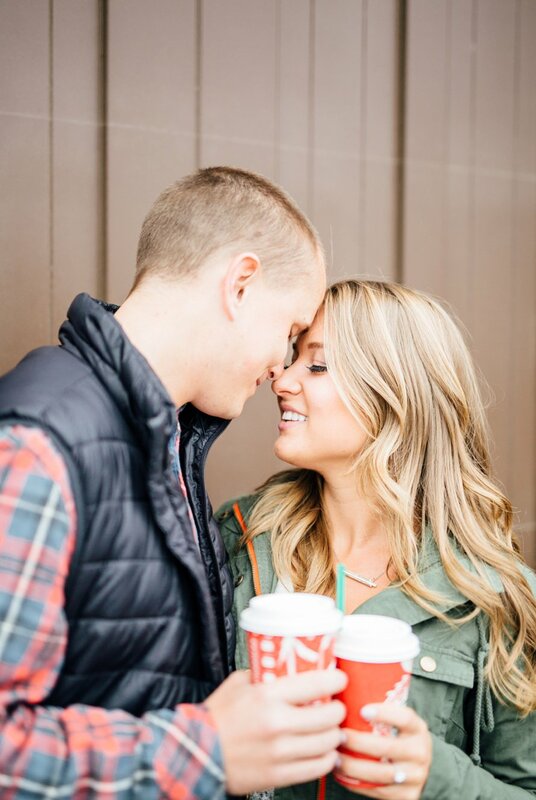 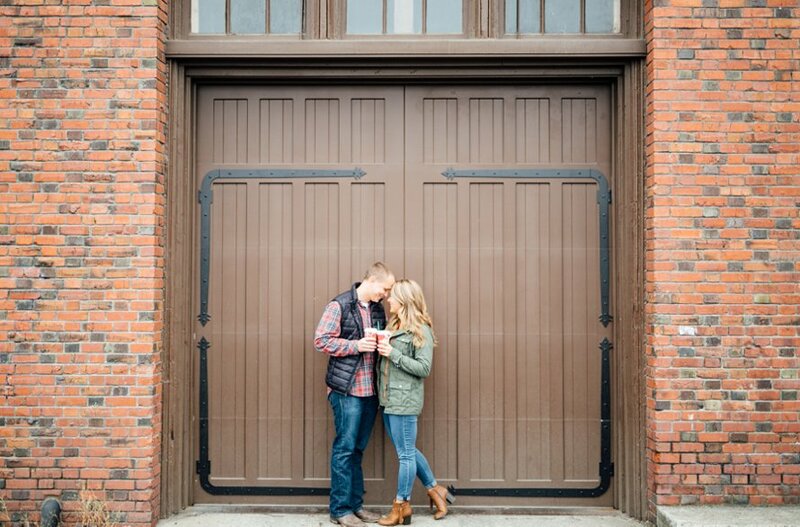 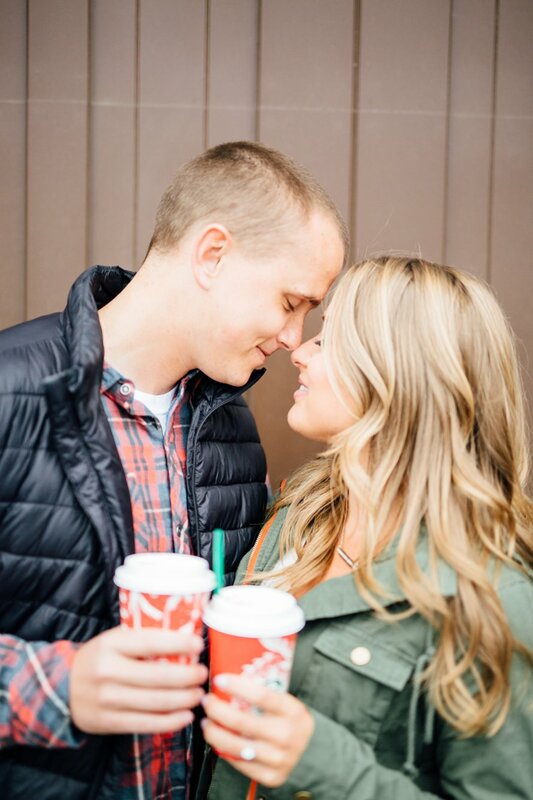 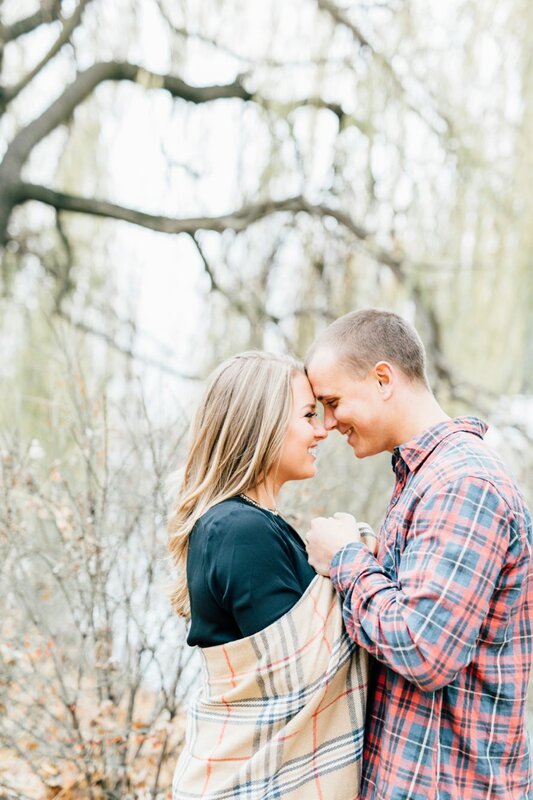 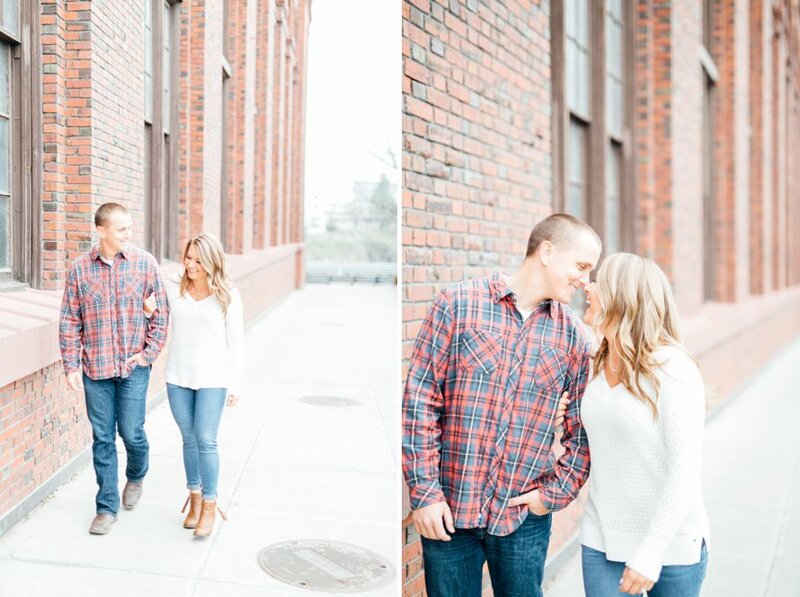 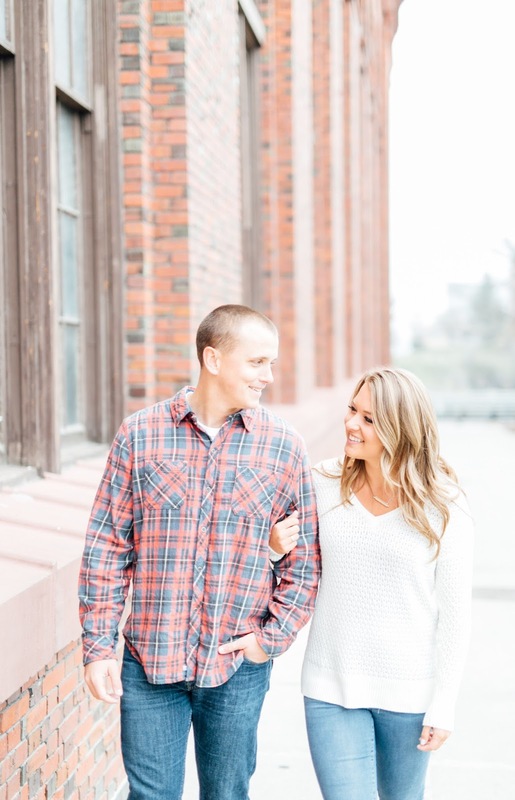 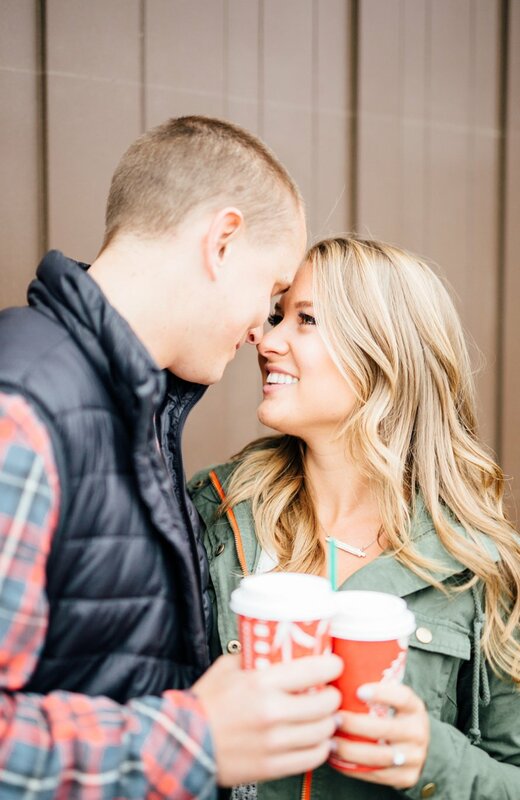 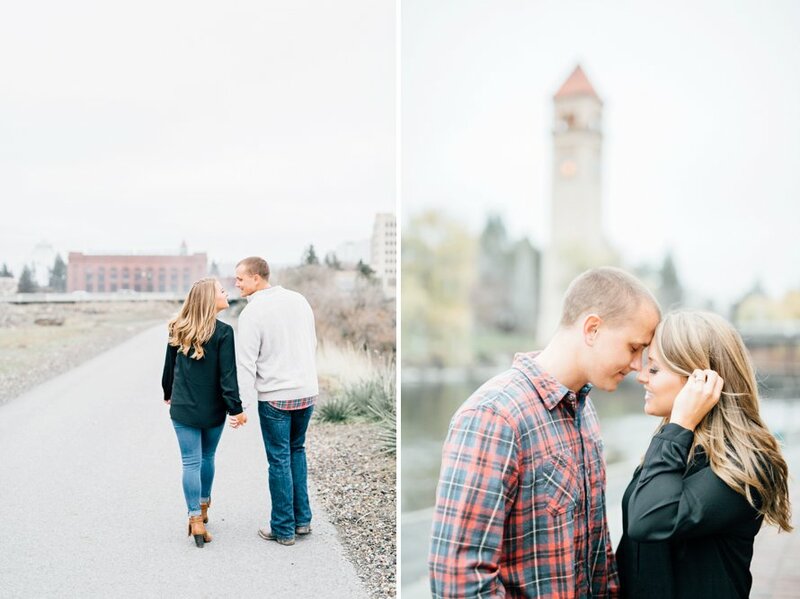 Cozy layers, a little frost and the warmest hearts came together in downtown Spokane for this holiday engagement session. 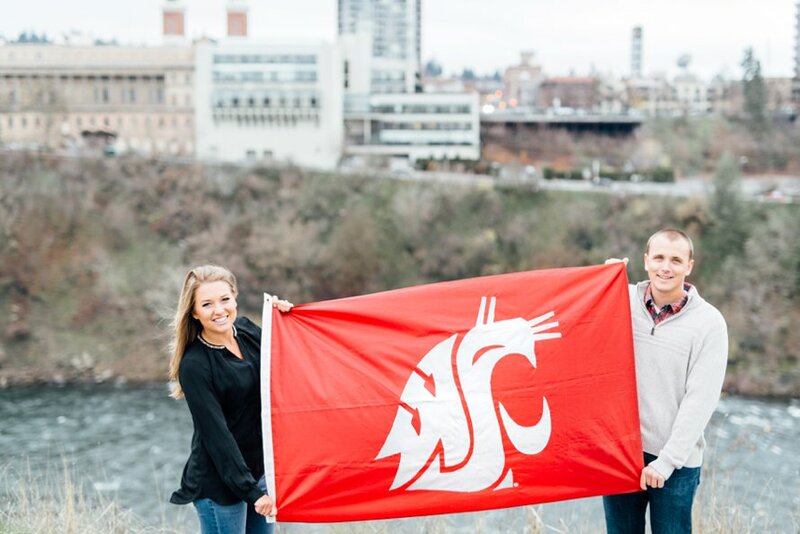 I first met Janae cheering for our favorite team and we became fast friends. 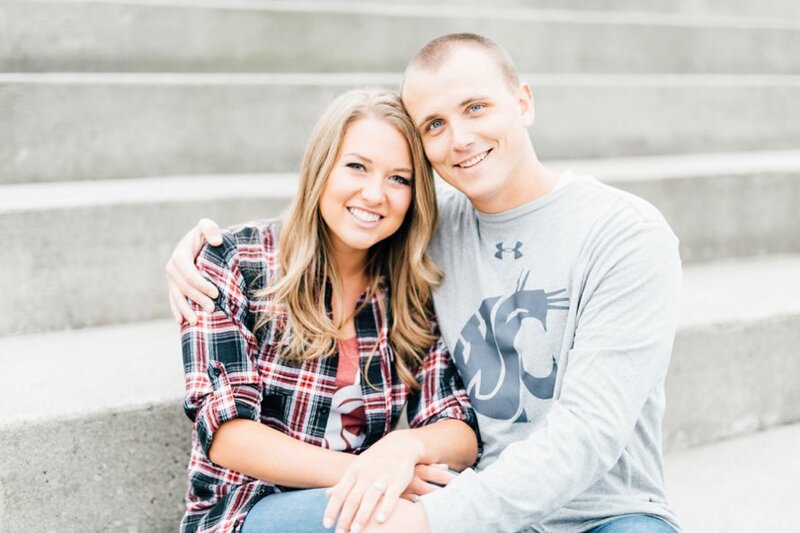 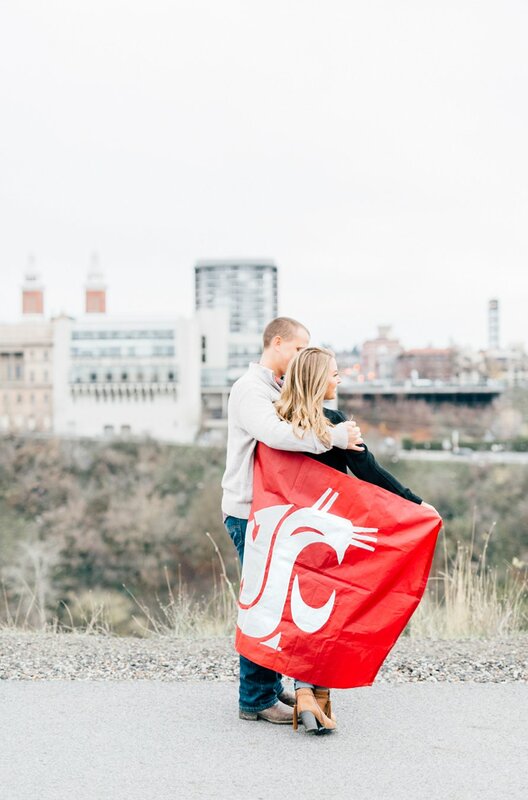 Fast forward a few years and Quinn proposed in front of Martin Stadium! 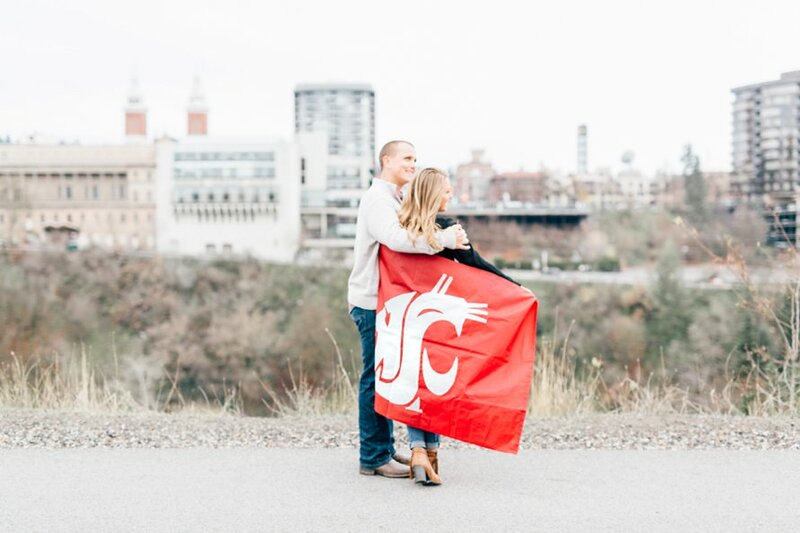 He knew how much it would mean to his college sweetheart for her entire family to be apart of it, and it was the perfect kickoff to their tailgating tradition! 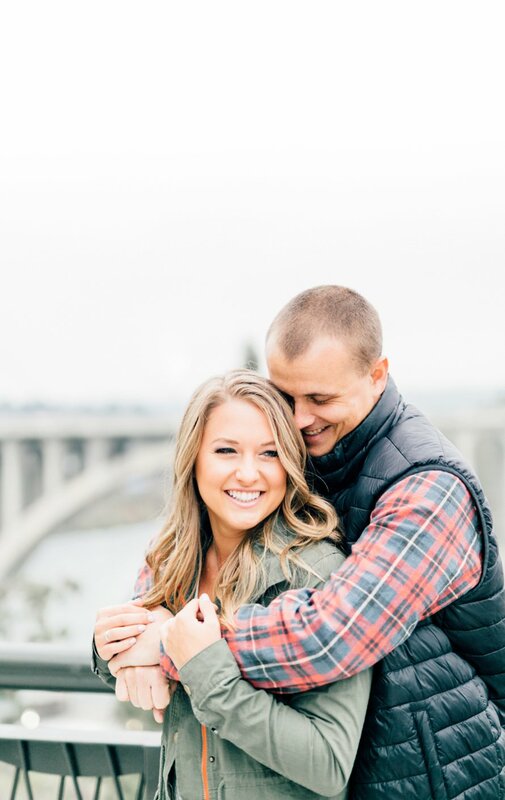 I couldn't be happier she found a love like Quinn & can hardly wait for the wedding next summer!